Blood and Horror in Halford Road! 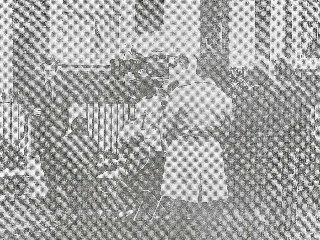 Halford Road, Richmond was the scene of blood and horror last Wednesday when Amicus Productions temporarily transformed the street into a film set for 'The Vault of Horror' - the follow up to the recent box-office success 'Tales from the Crypt'. The scene which was shot on Wednesday stars Daniel Massey and his sister, Anna both well known for their T.V. and film performances. The film also stars Glynis Johns, Dawn Addams and Terry Thomas. A crowd of curious bystanders watched the goings-on as the little Washeteria on Halford Road was transformed into a restaurant where customers sported huge fangs and the menu boasted roast blood clots as the main course. 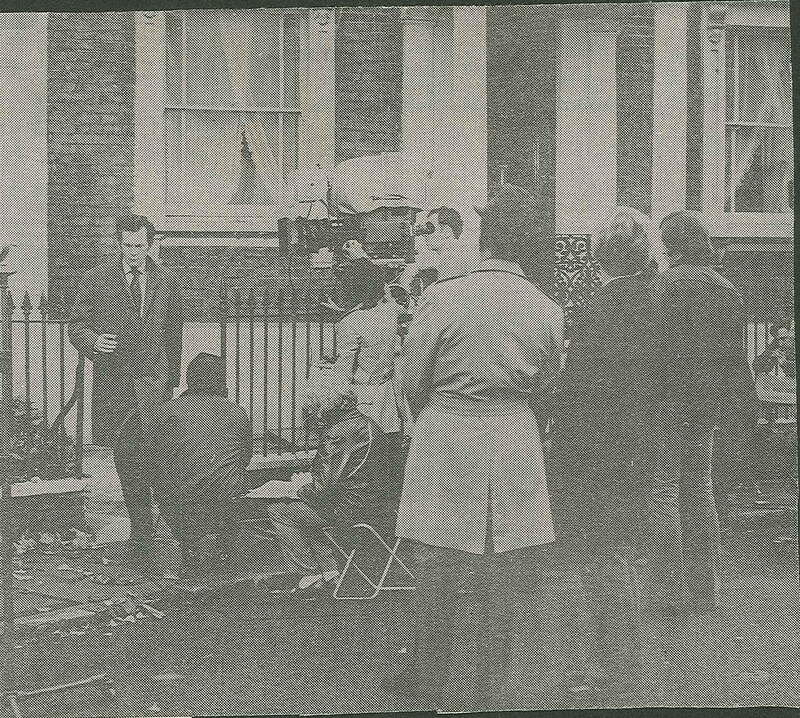 Most of the film is being shot at Twickenham Studios, but the crew has also spent one day on location in Ham Churchyard and another just off Sheen Road. 'The Vault of Horror' directed by Roy Ward Baker, should be completed in about two weeks time, and will go on general release next April. Clearly this local reporter did not know his local road geography. He did not appreciate that the photo shows film makers by the corner of 31/33 The Vineyard and the Washeteria was at No 28.